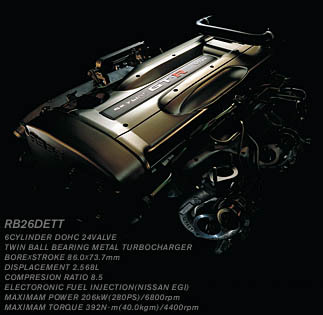 * Twin ball bearing metal turbocharger. 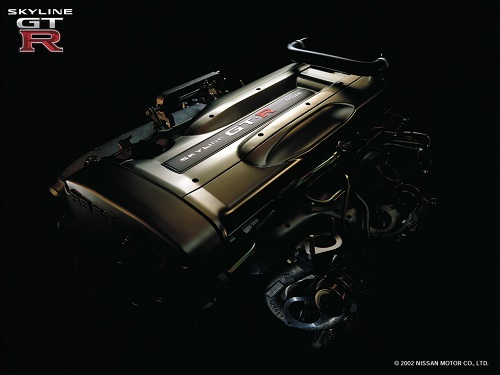 * N1 exclusive reinforced cylinder block. 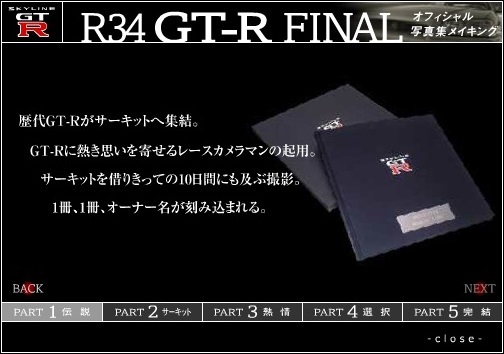 * N1 exclusive reinforced piston. 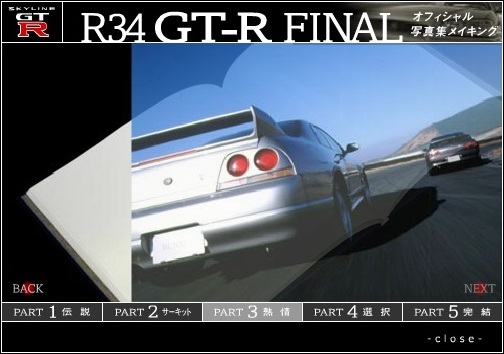 * N1 exclusive piston ring (low friction item). 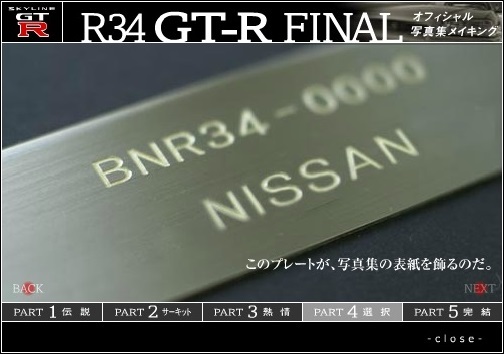 * N1 exclusive reinforcing connecting rod. 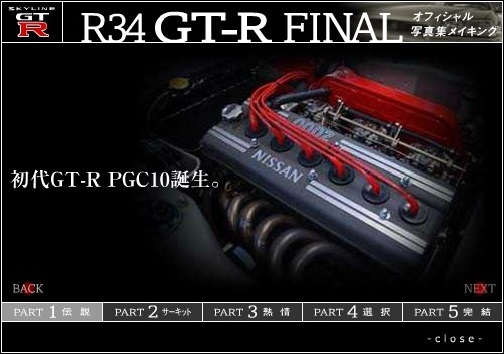 * N1 exclusive oil pump. 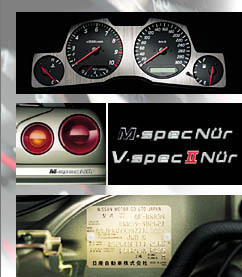 * N1 exclusive water pump (exclusive blade shape, discharge amount increase). 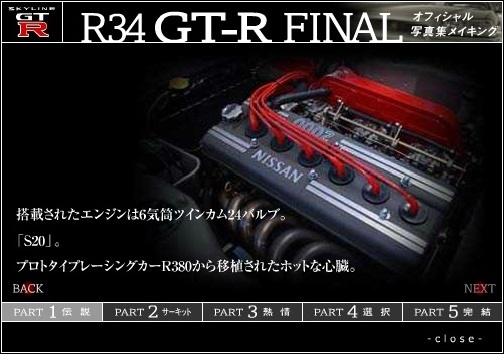 * N1 exclusive exhaust manifold (turbo side flange section passage area expansion). 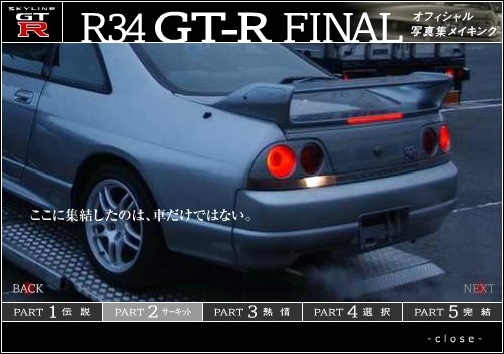 * N1 Special air hose (reinforcement thread double structure). 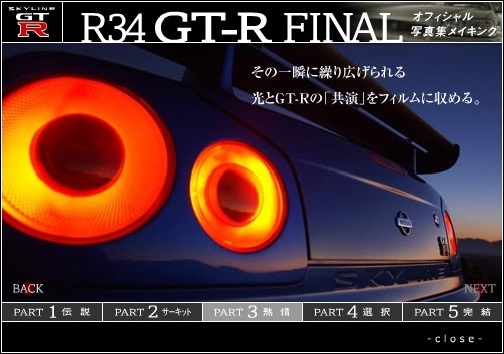 * Exclusive gold color (EY0 Silica Breath) engine covers. 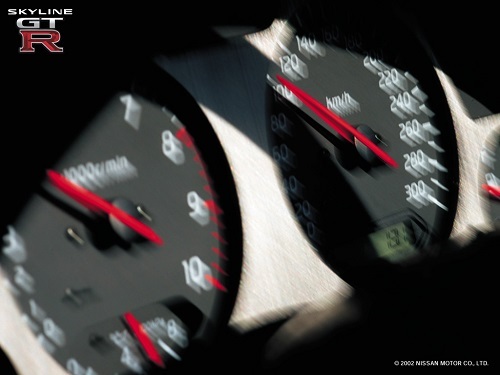 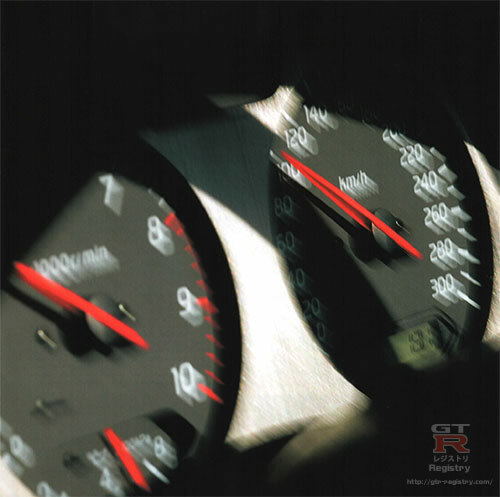 Full scale 300 km/h speedometer. 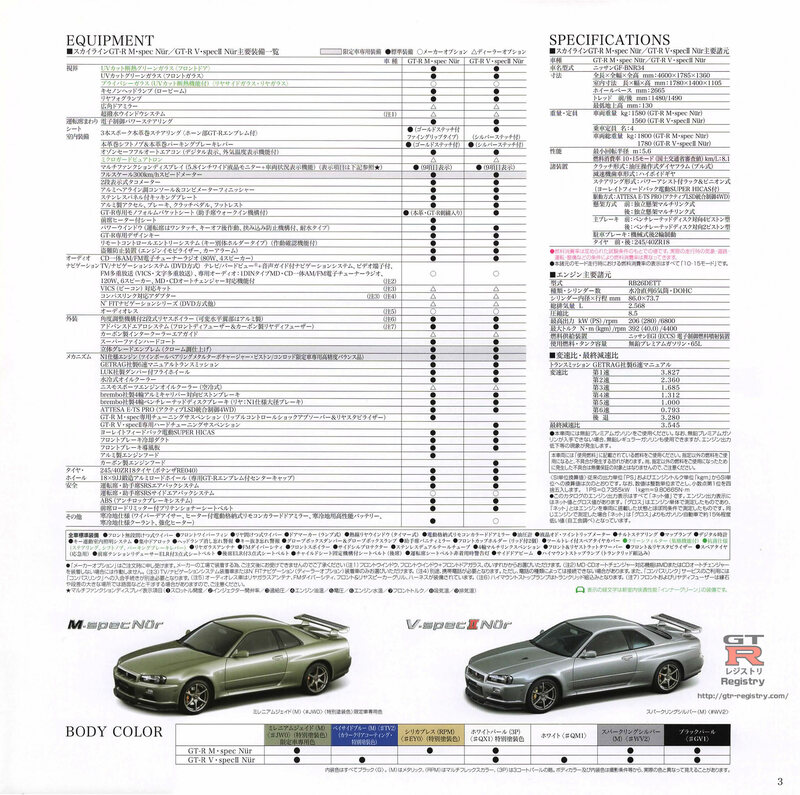 Exclusive body color Millennium Jade (M) <#JW0>. 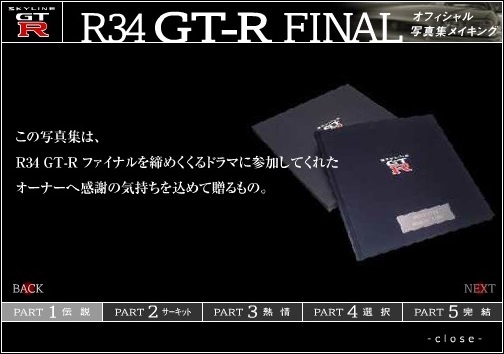 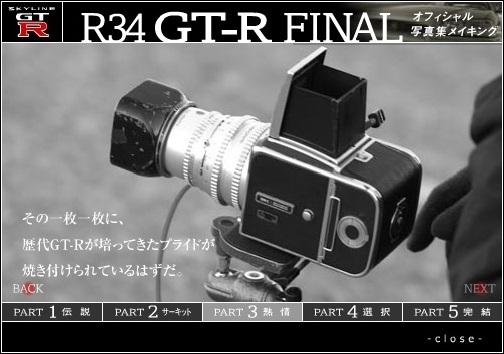 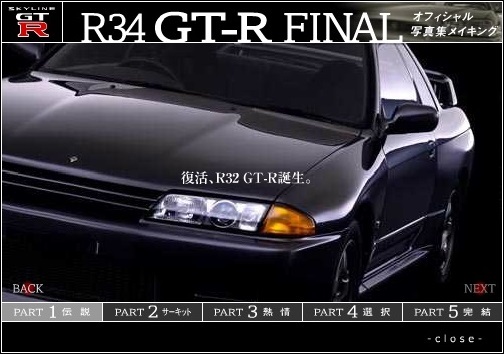 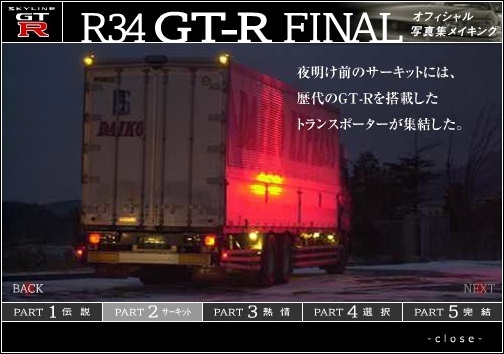 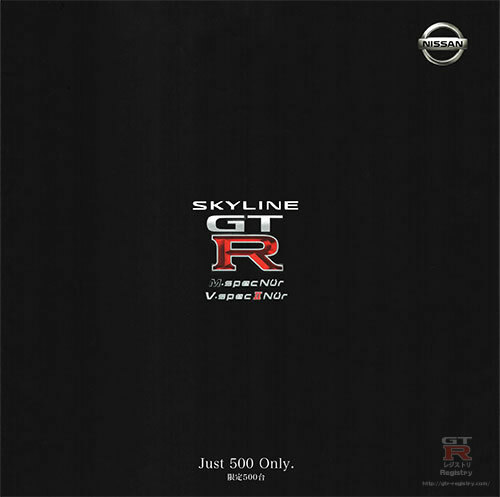 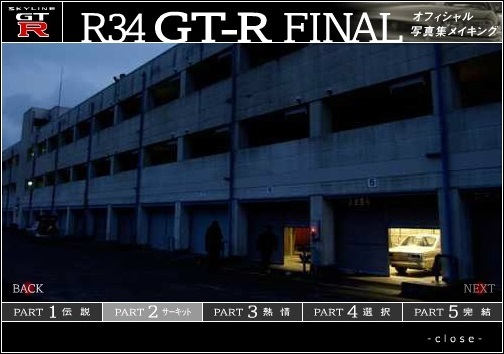 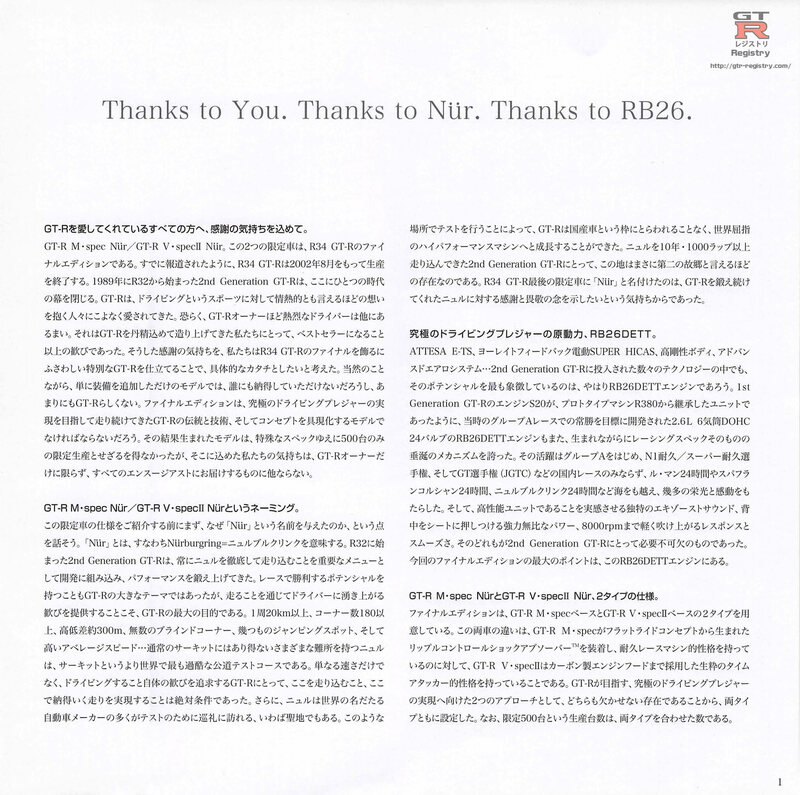 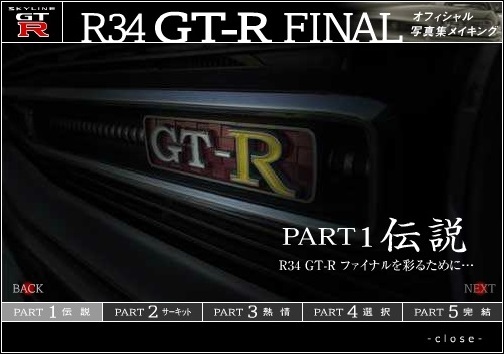 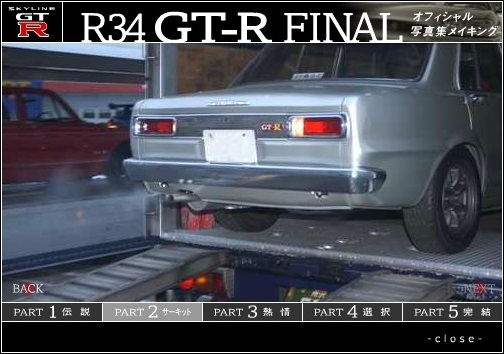 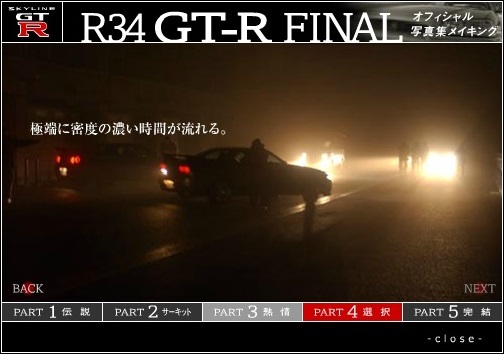 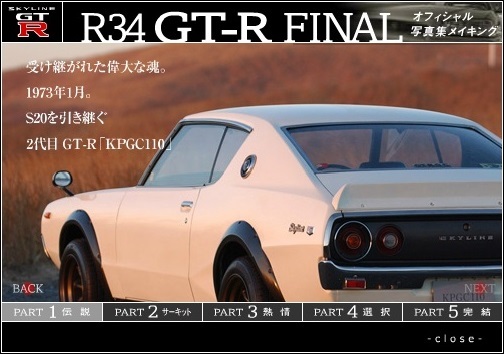 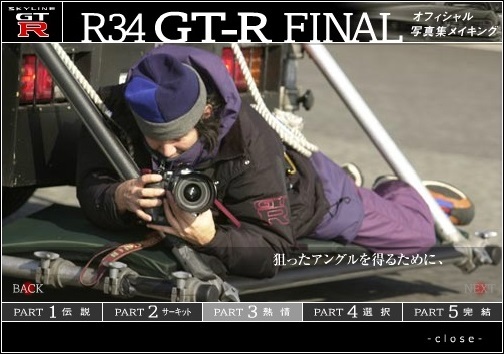 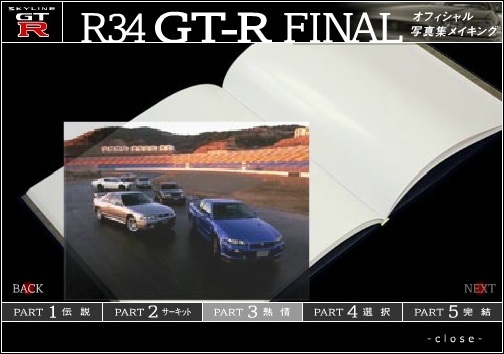 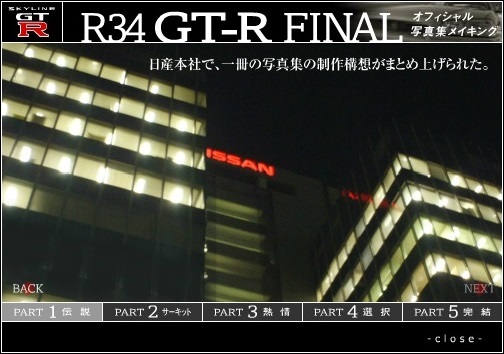 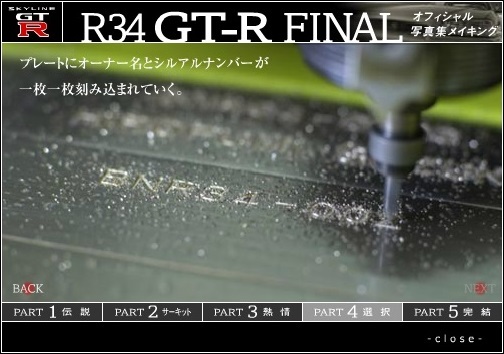 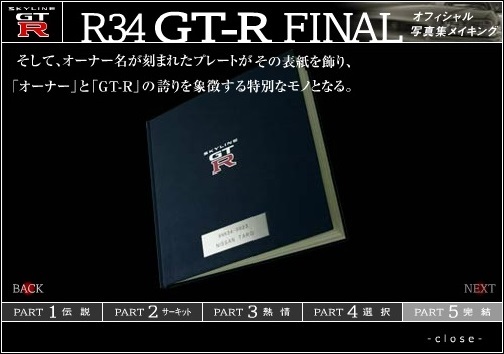 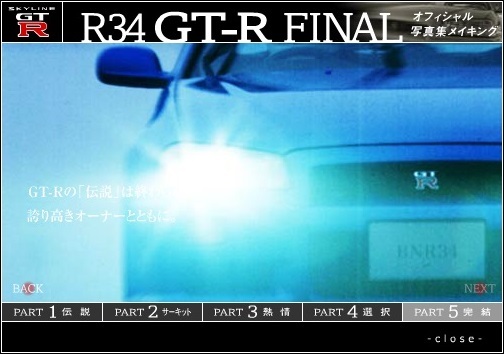 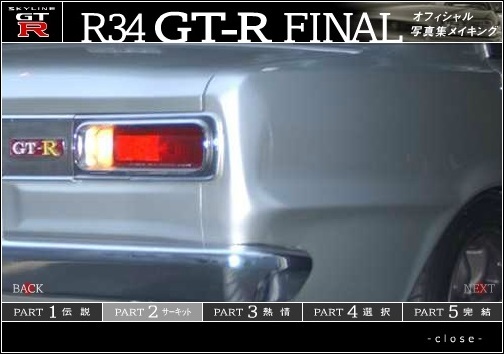 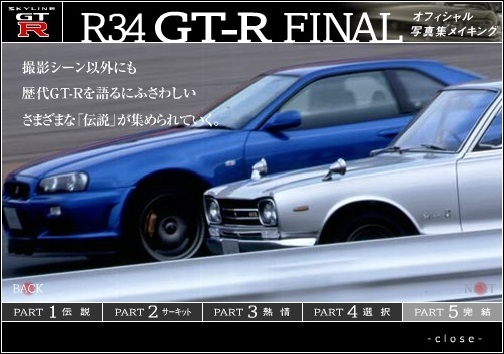 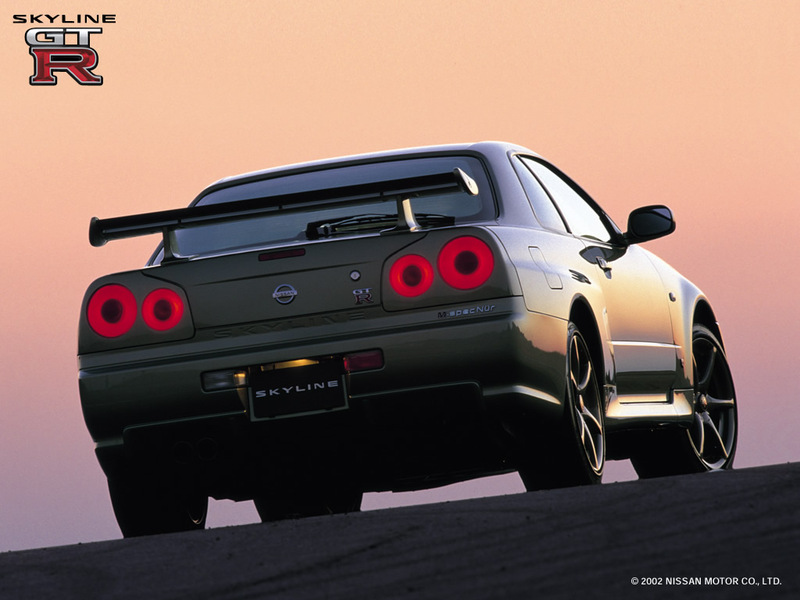 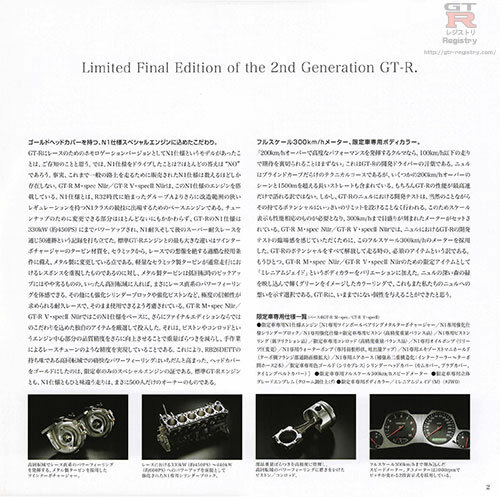 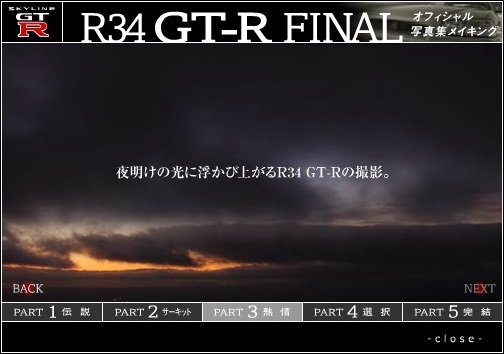 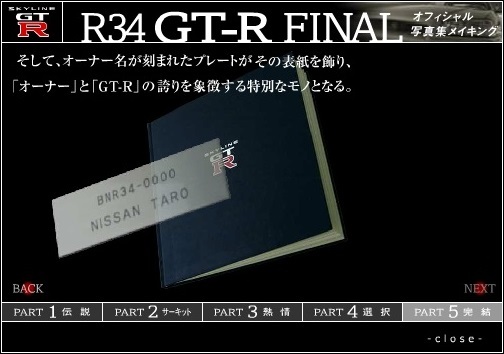 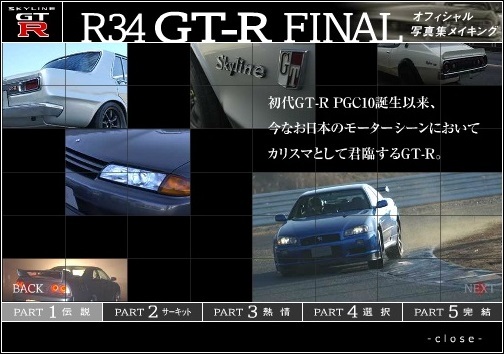 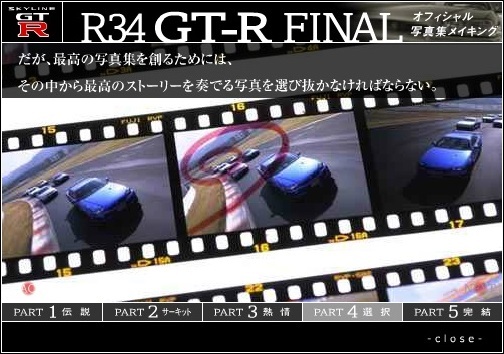 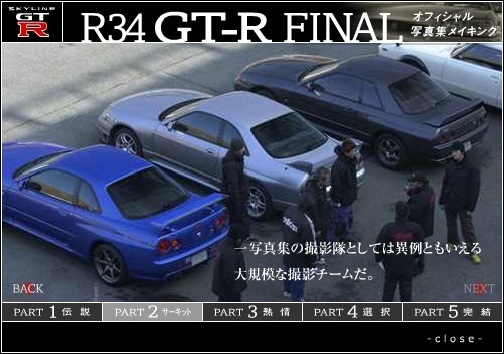 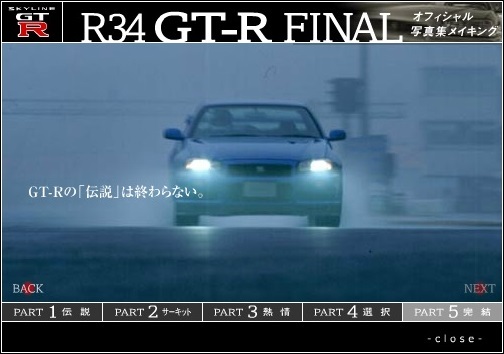 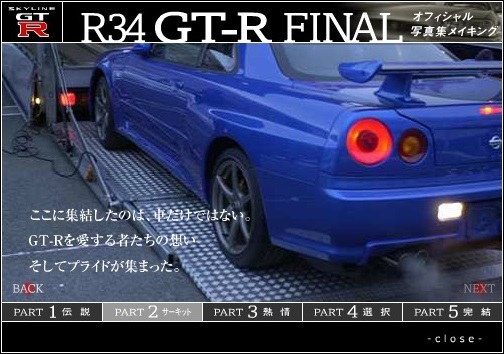 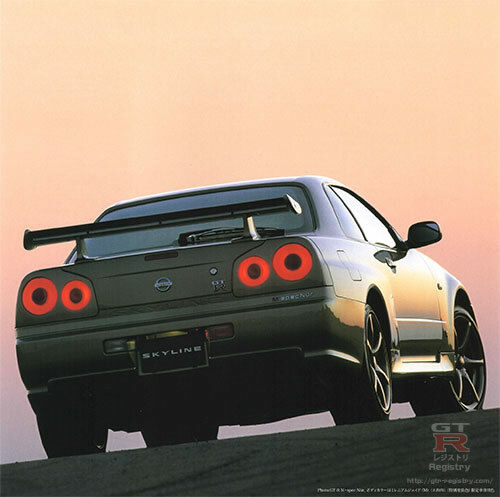 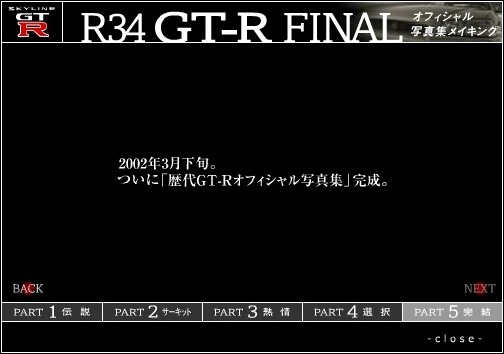 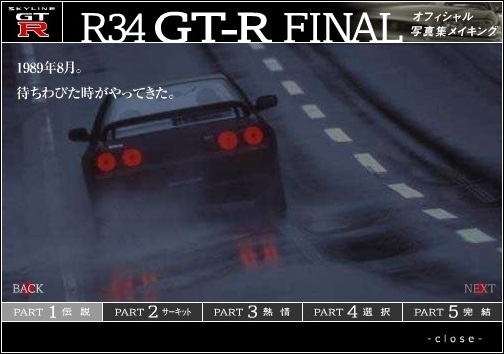 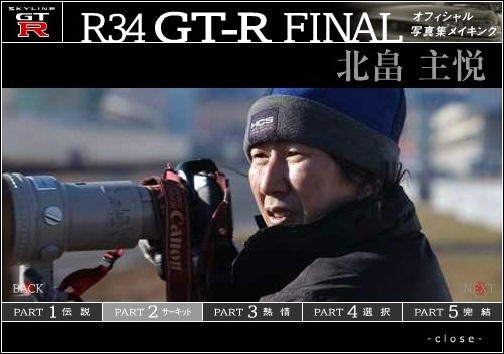 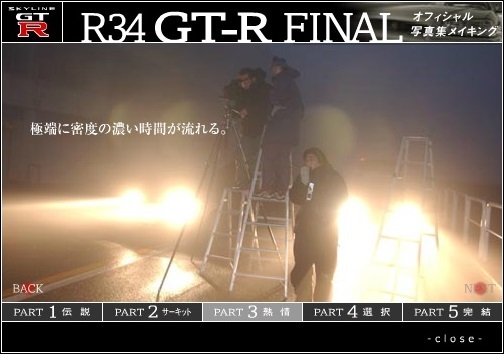 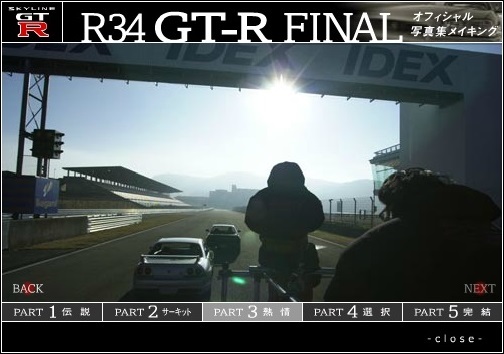 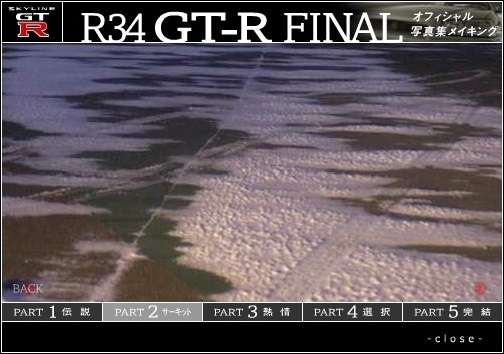 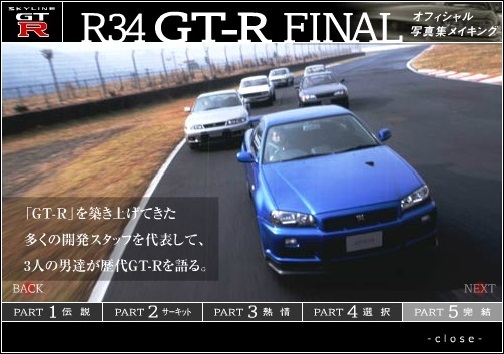 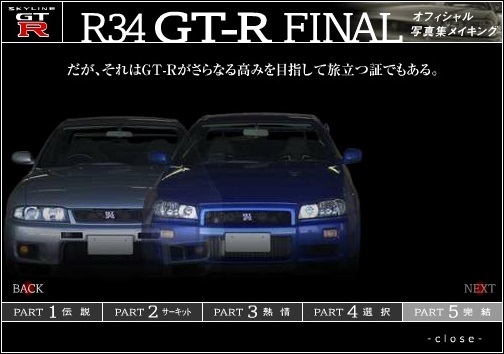 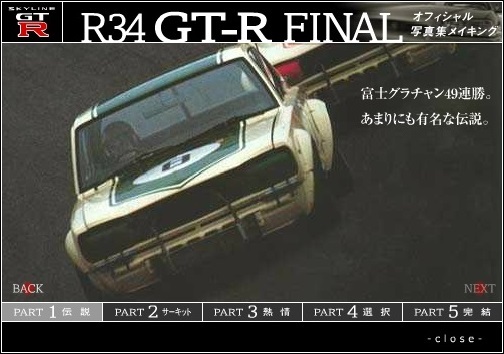 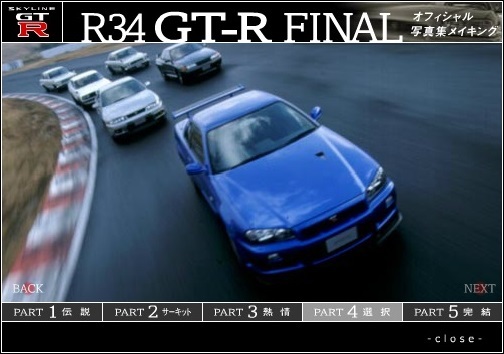 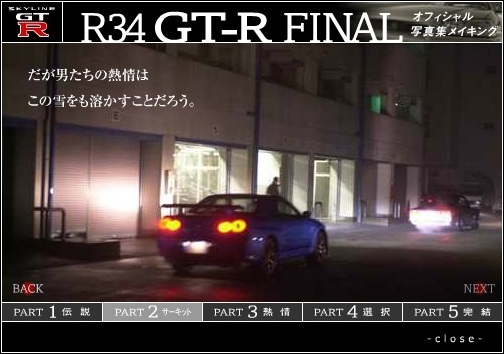 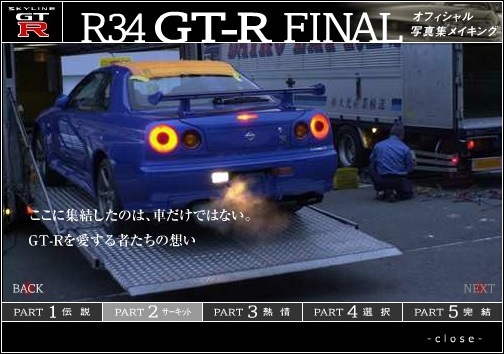 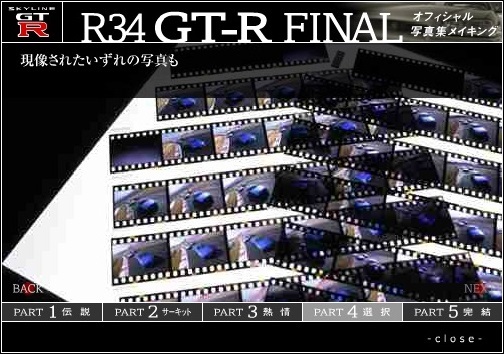 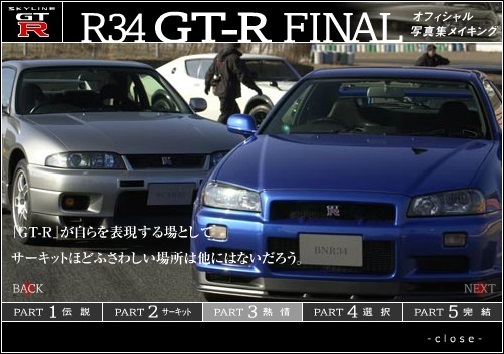 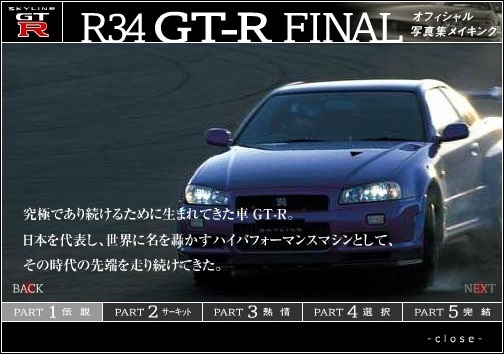 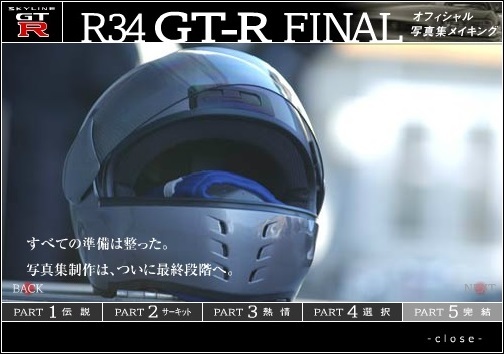 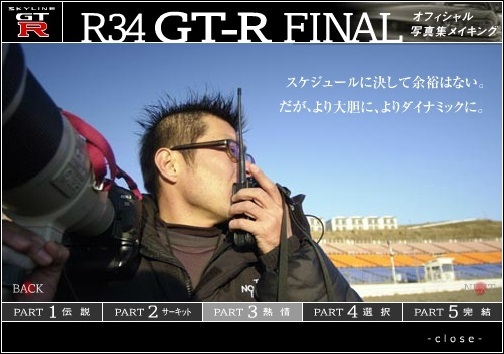 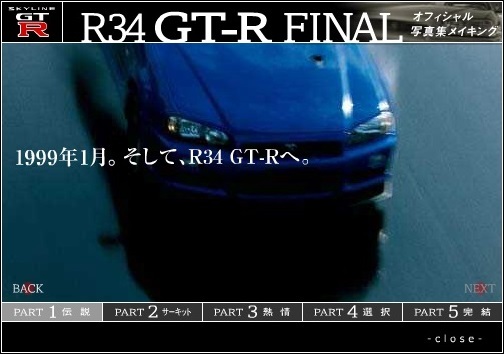 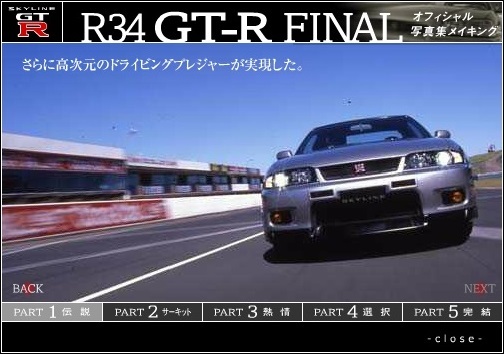 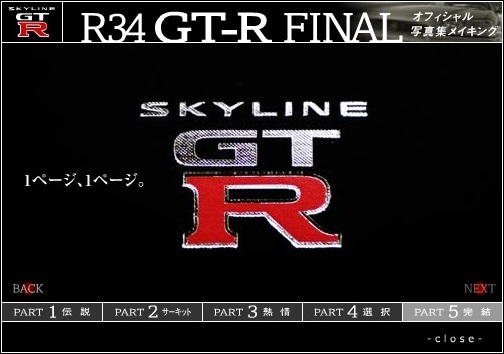 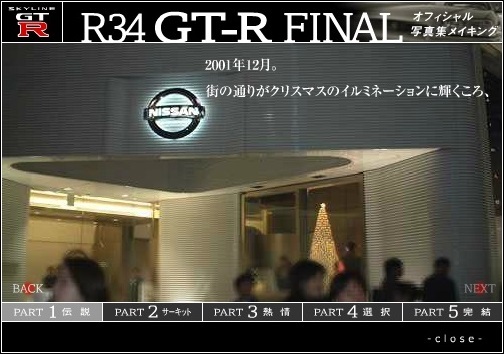 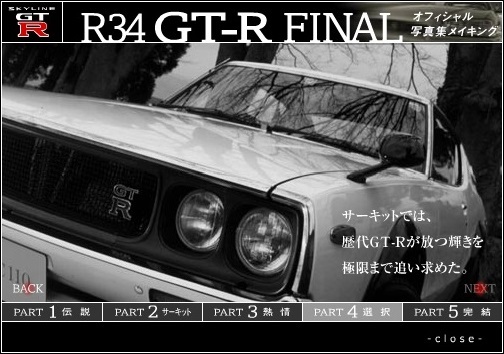 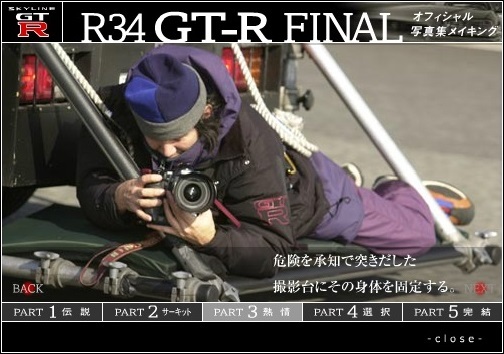 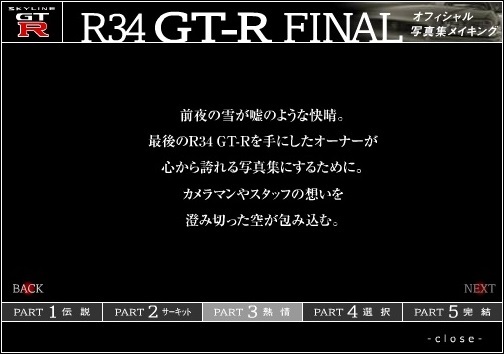 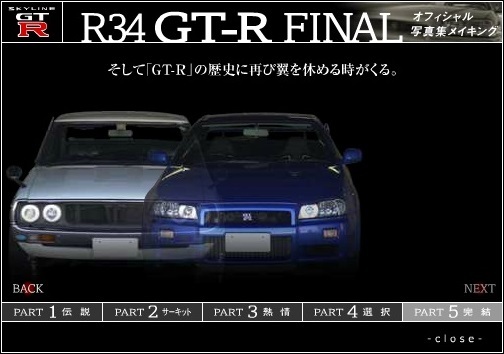 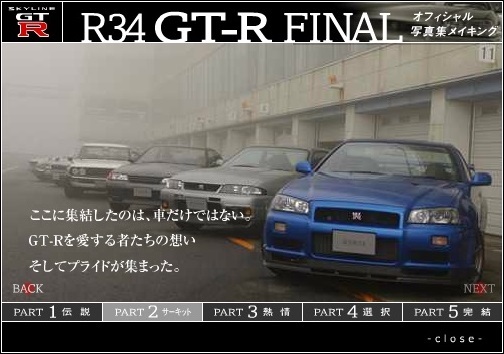 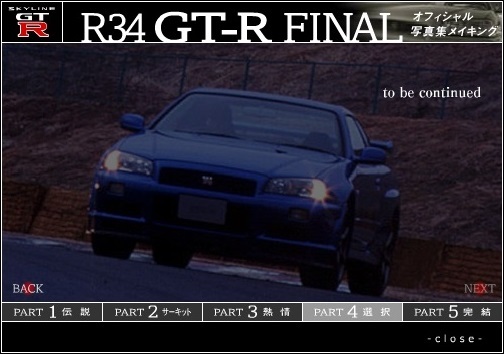 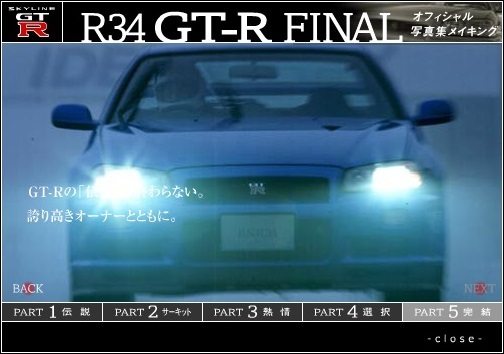 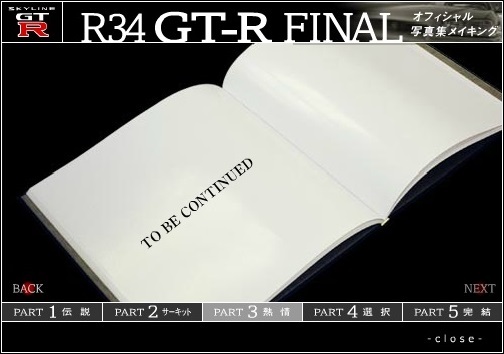 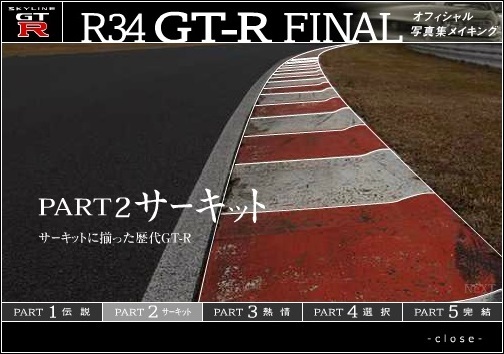 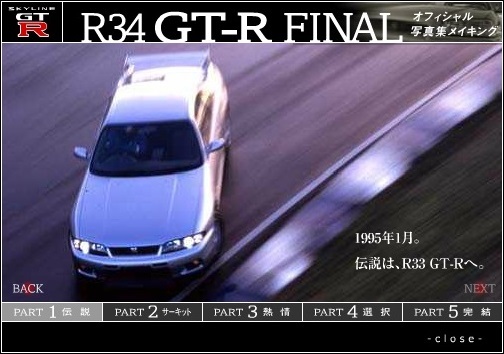 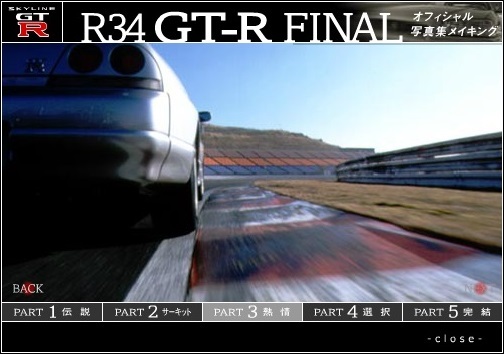 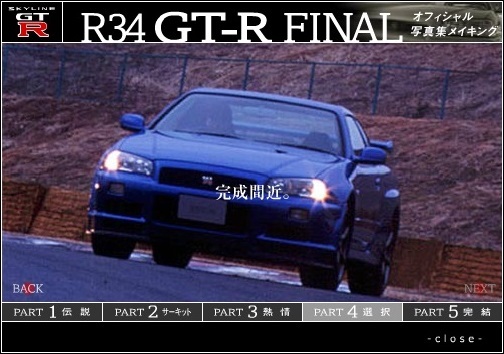 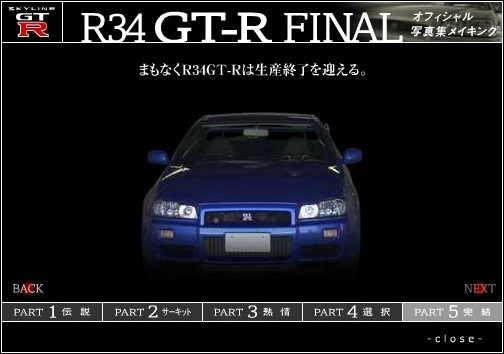 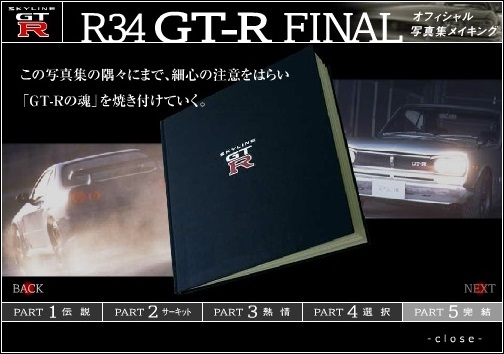 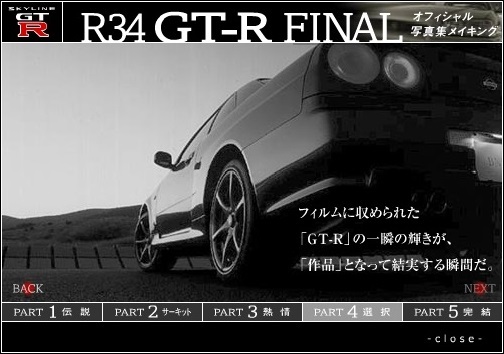 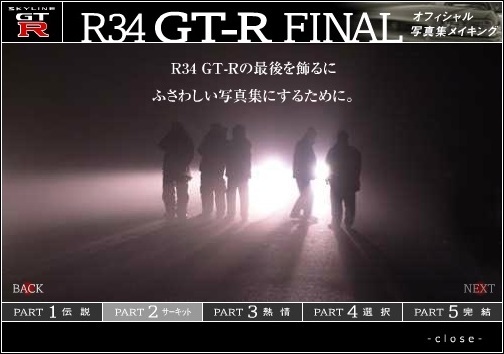 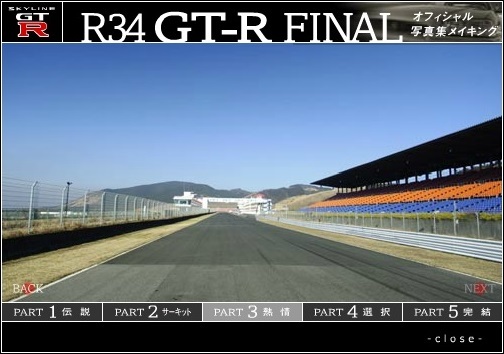 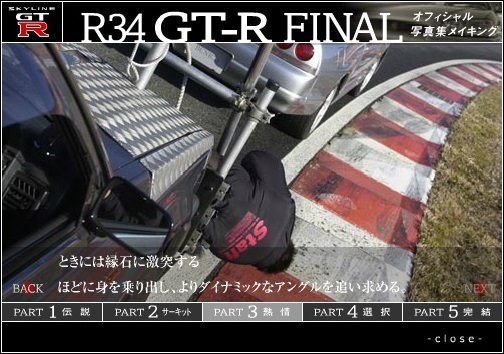 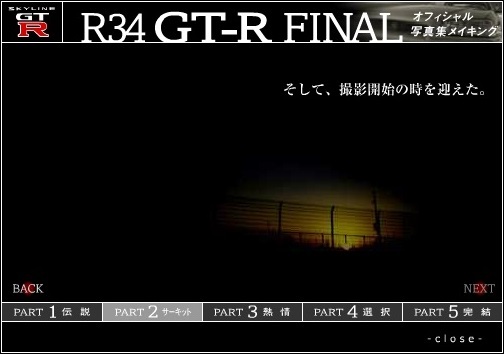 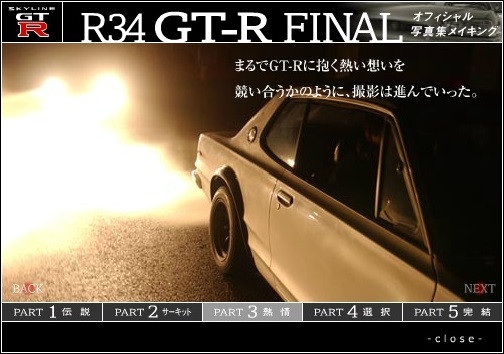 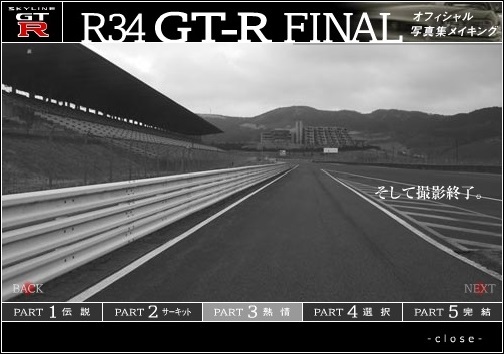 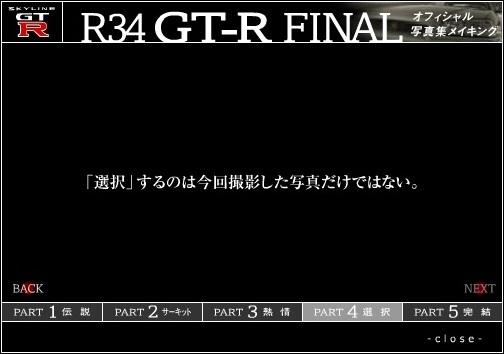 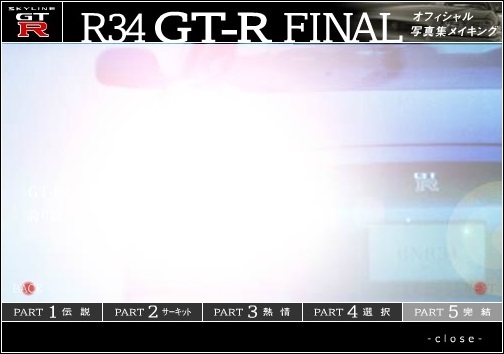 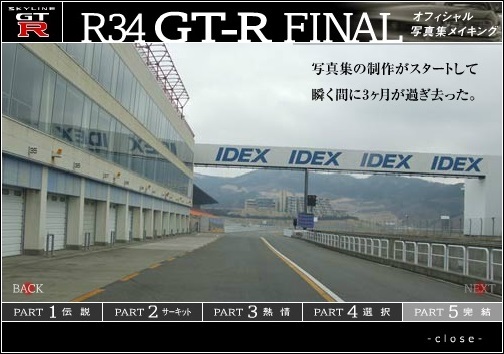 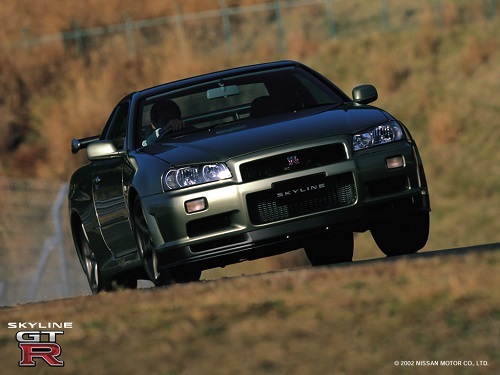 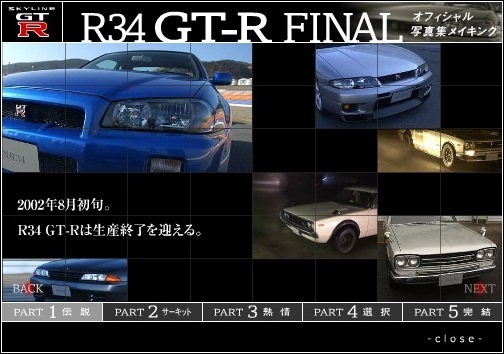 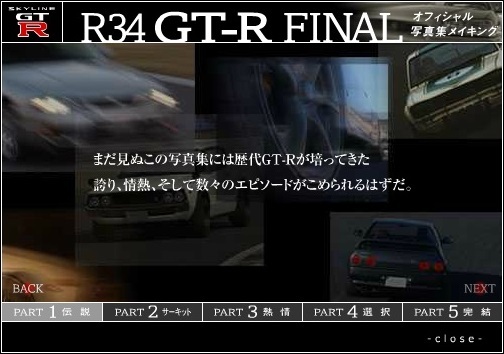 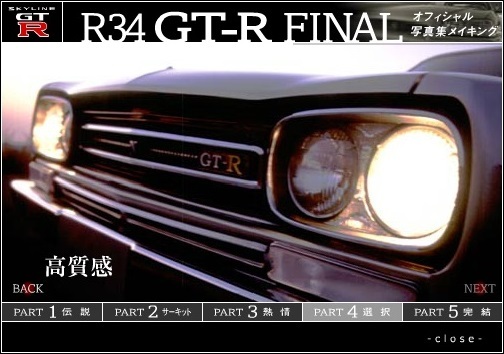 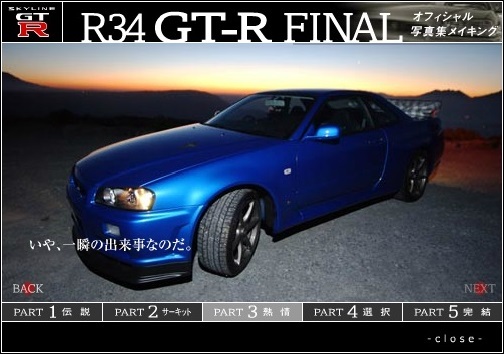 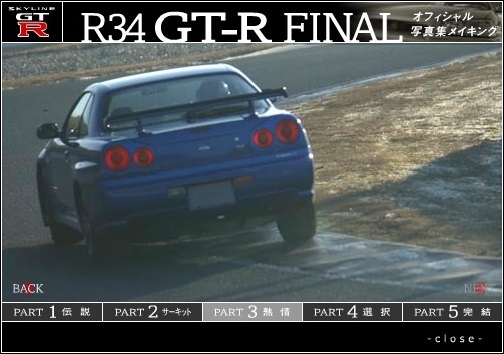 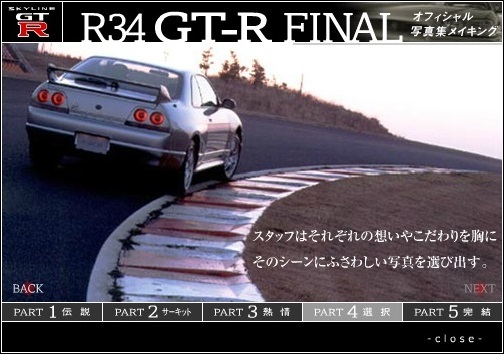 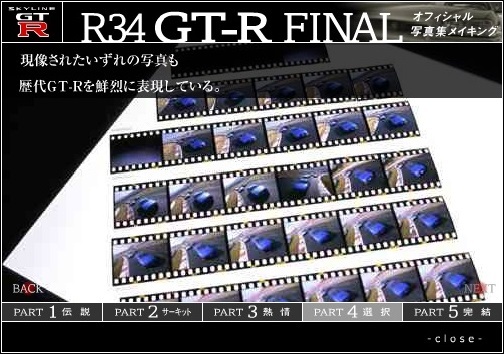 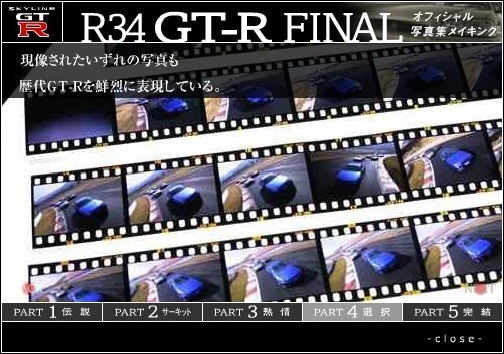 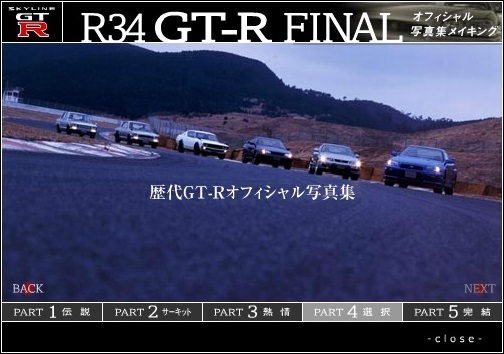 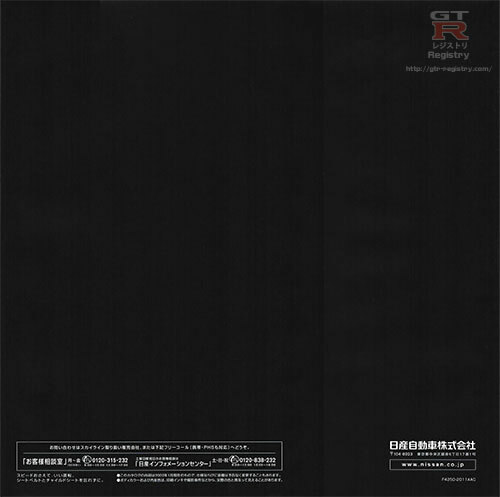 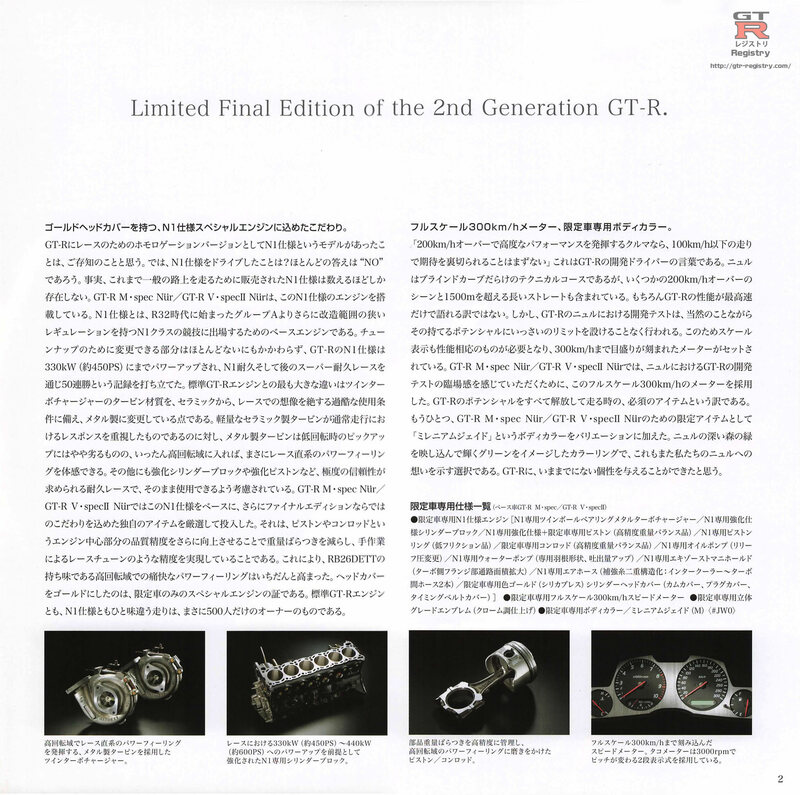 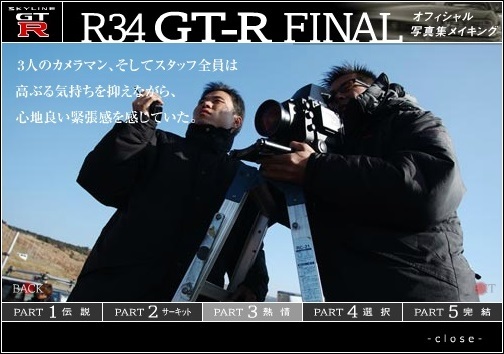 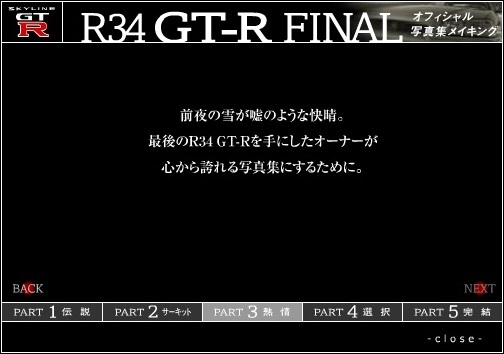 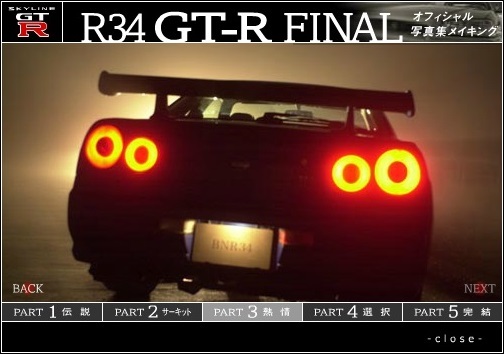 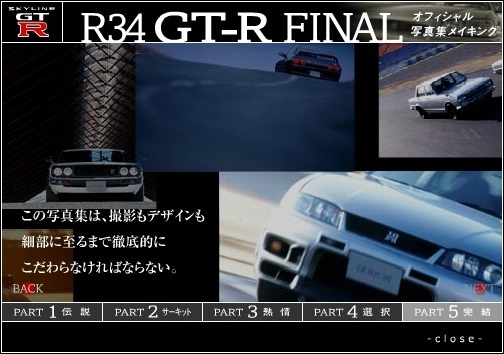 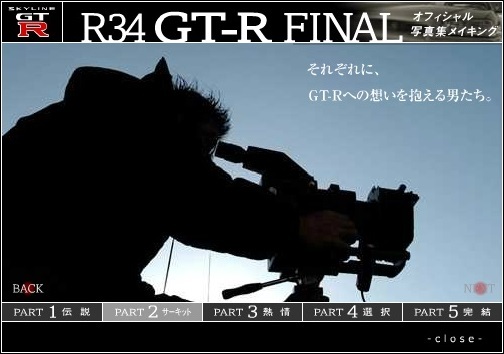 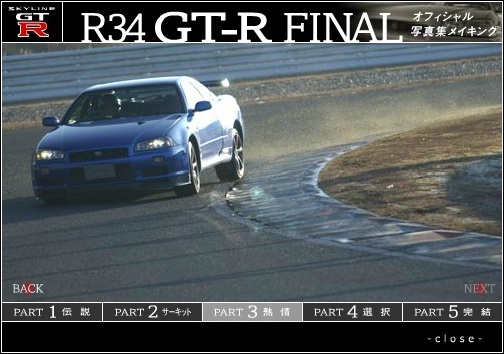 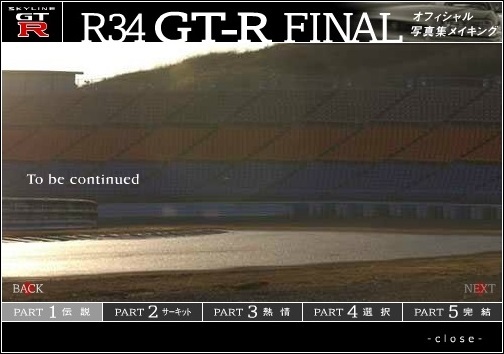 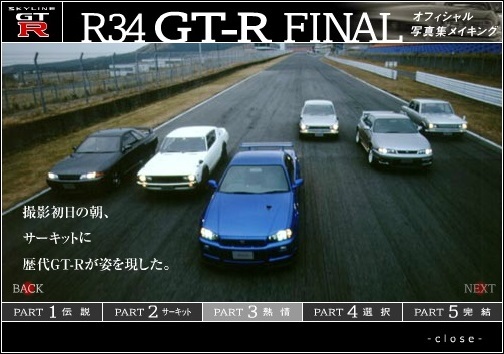 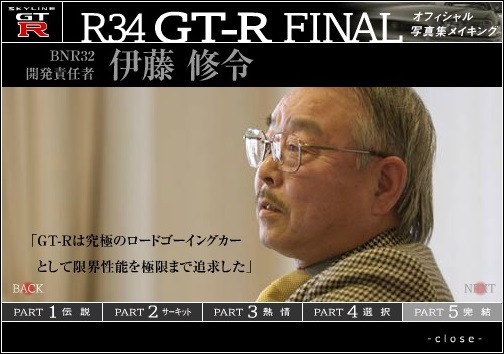 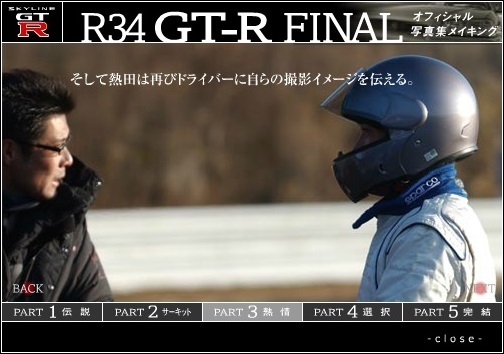 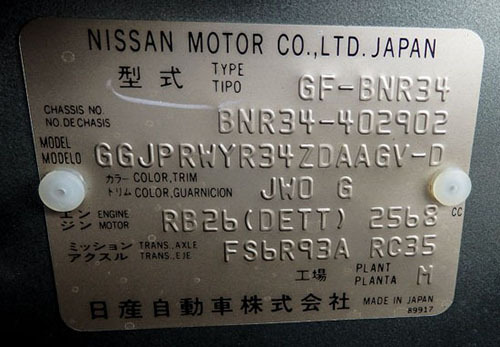 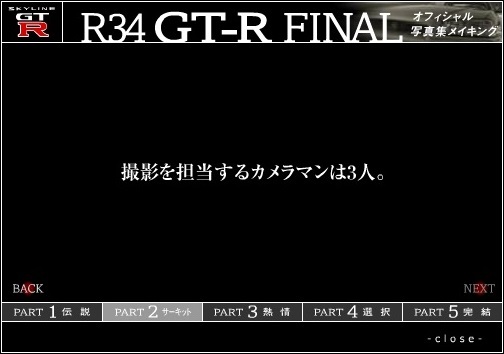 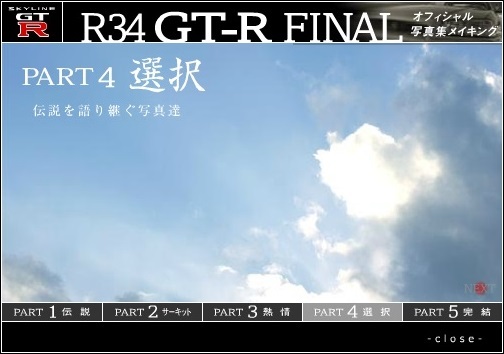 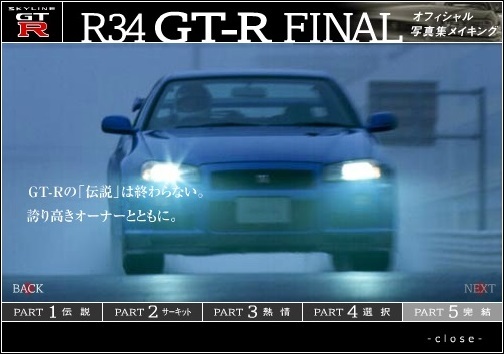 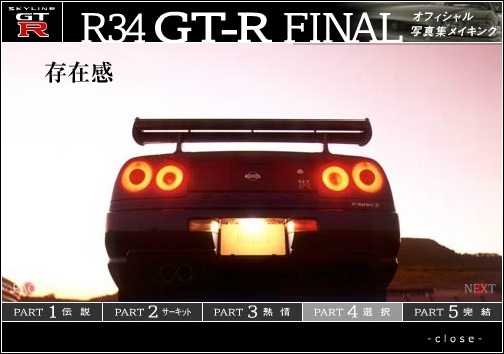 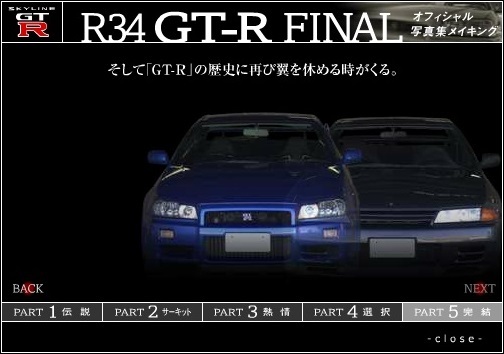 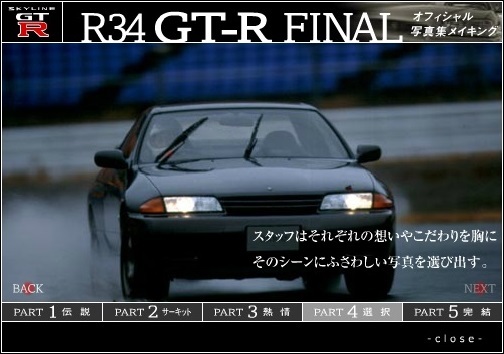 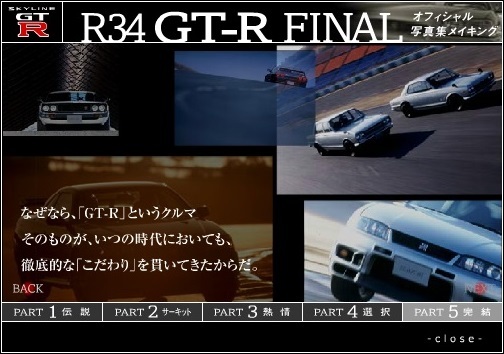 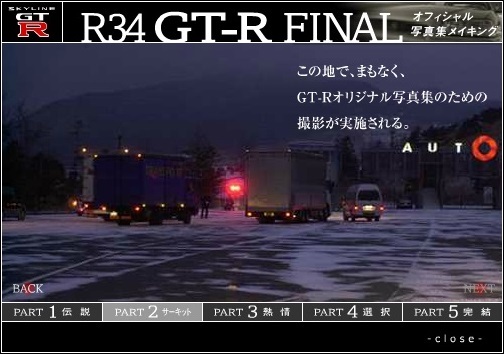 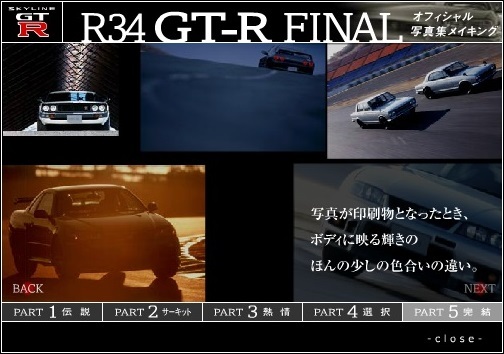 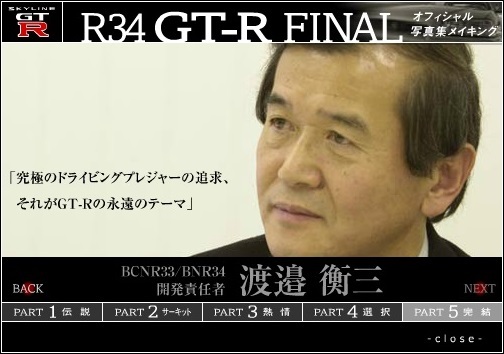 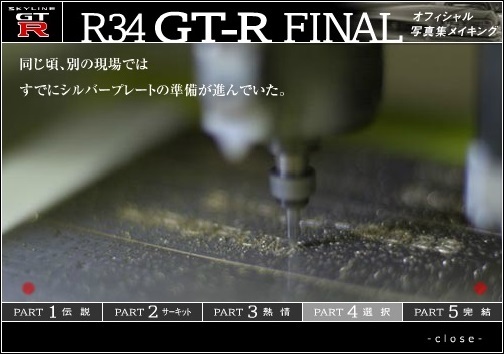 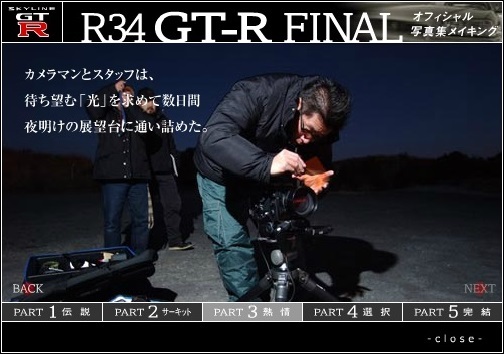 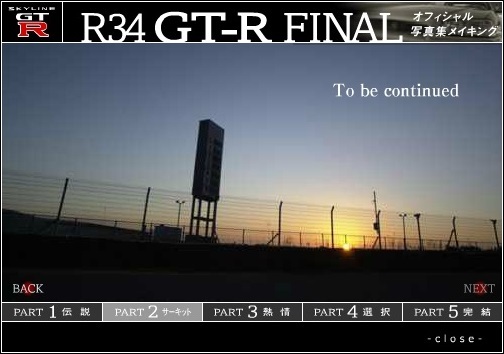 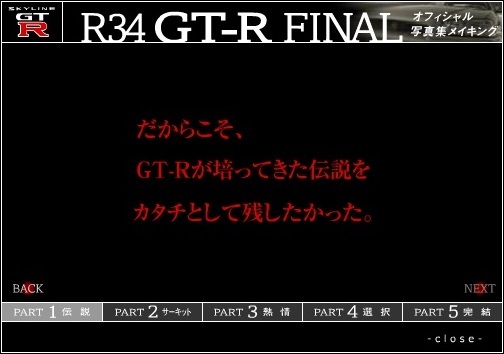 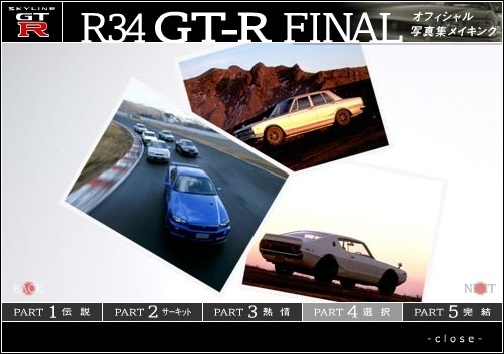 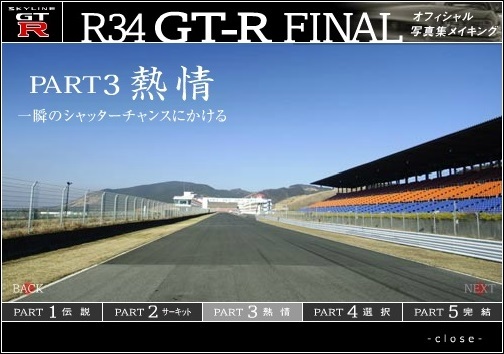 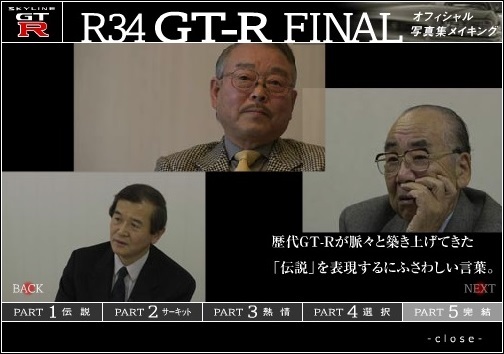 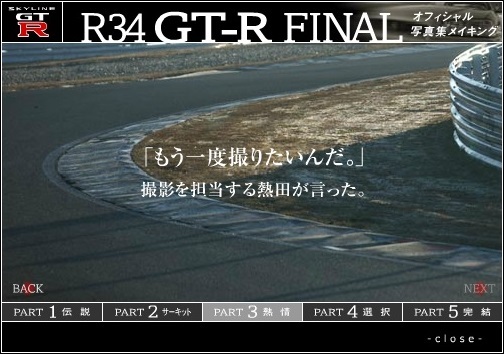 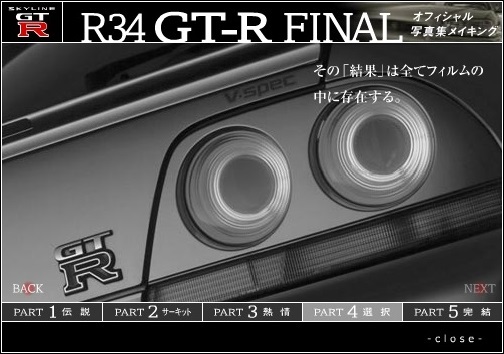 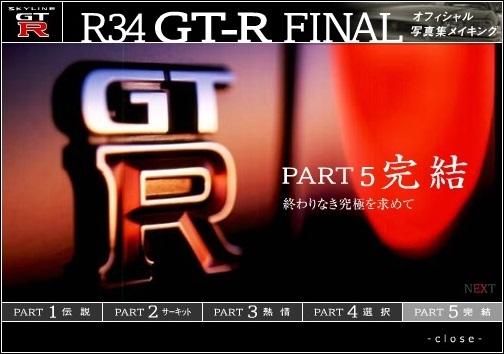 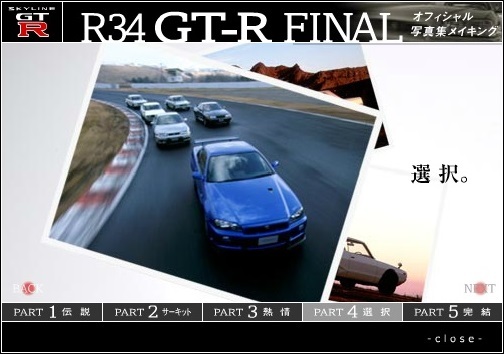 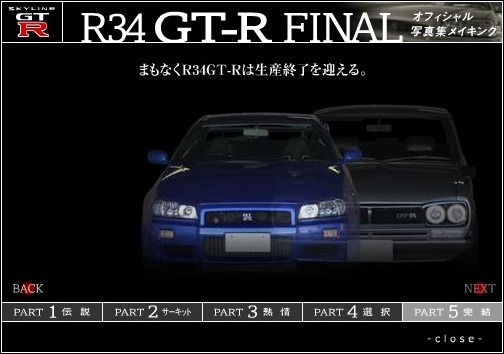 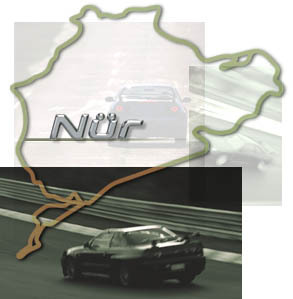 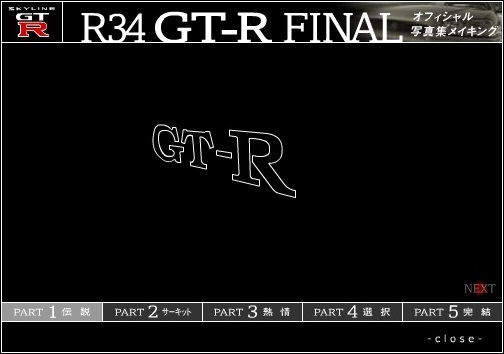 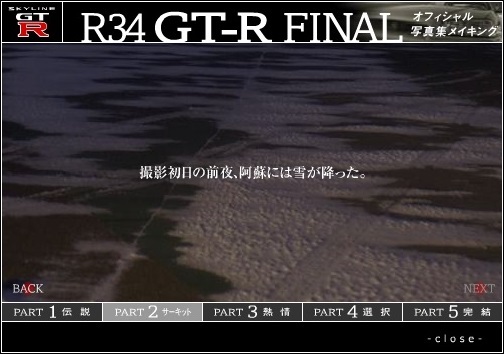 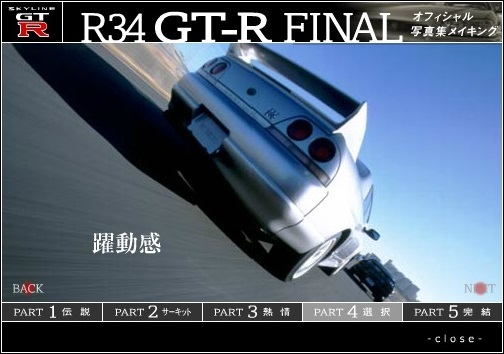 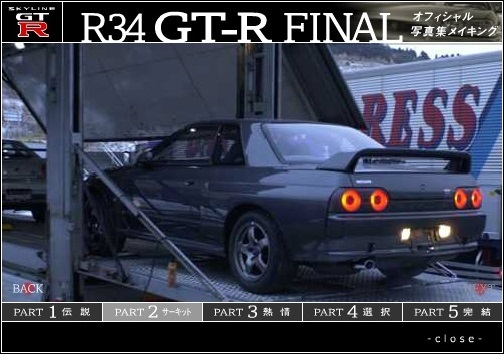 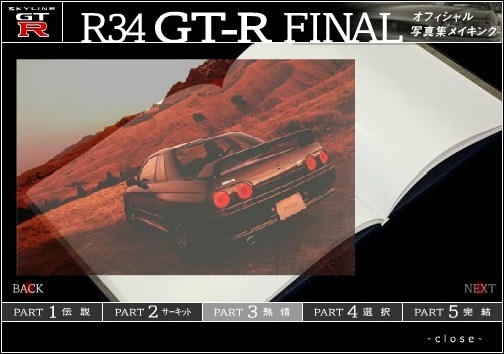 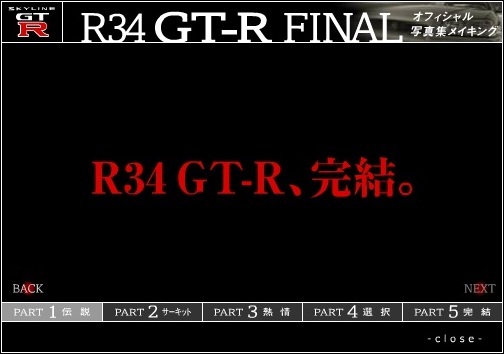 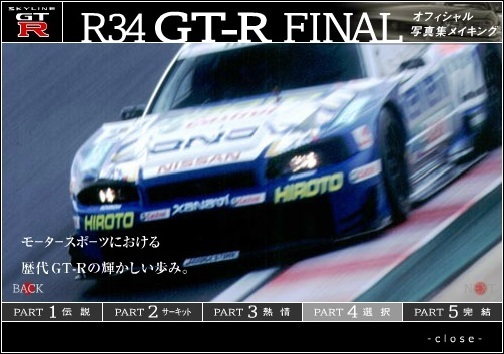 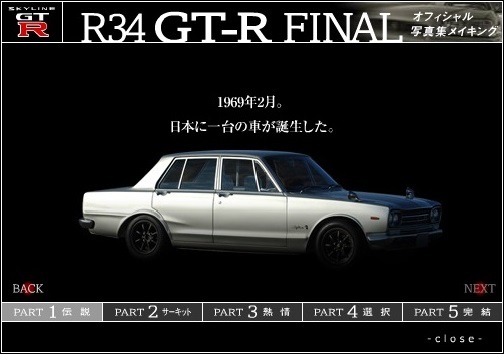 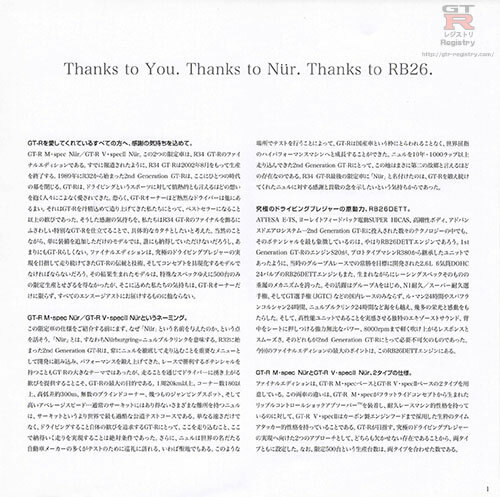 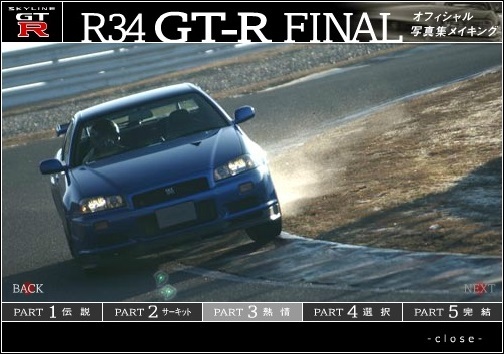 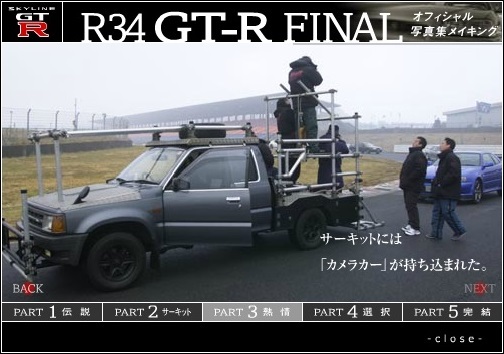 A 84 page book was provided to the purchaser of a new R34 GTR nur edition car. 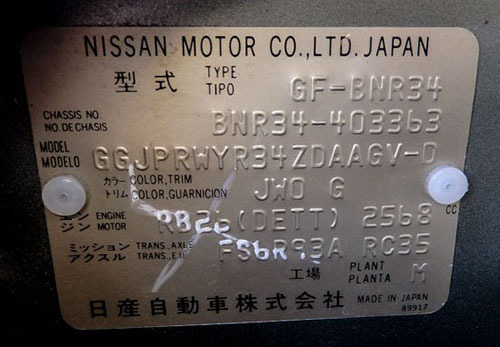 · Cover / serial number and customer name engraved plate. 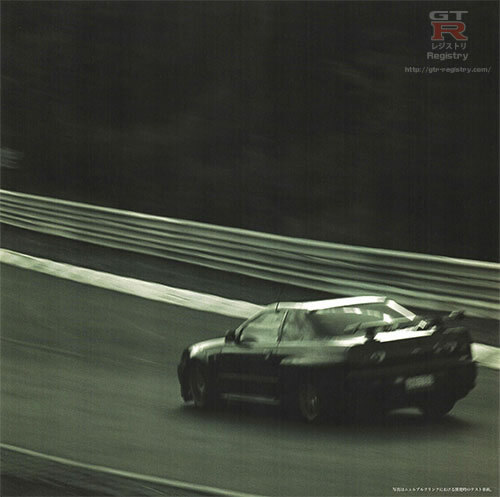 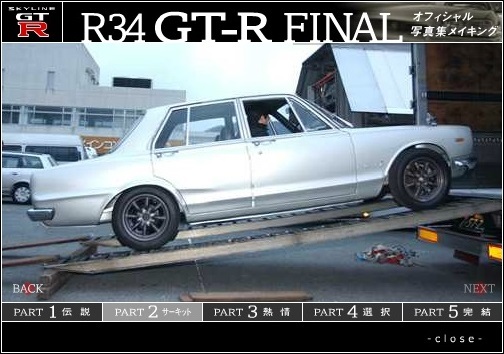 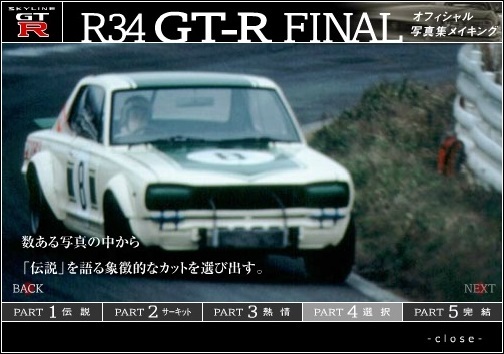 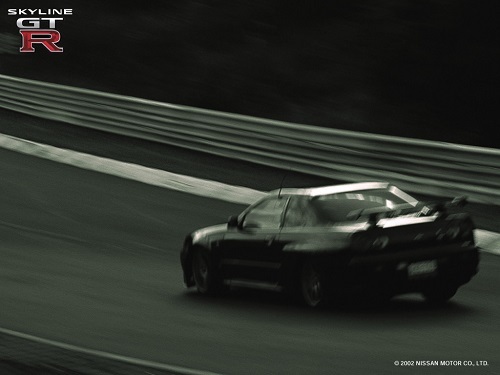 The book has photos of all generations of the GTR and the development of the car at the Nurburgring. 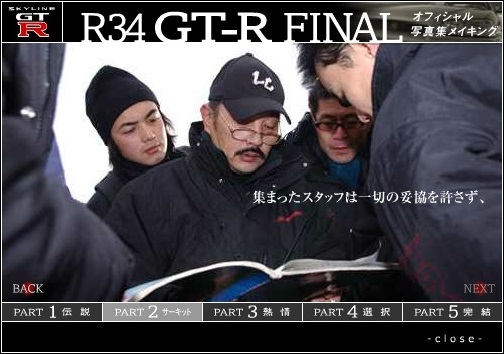 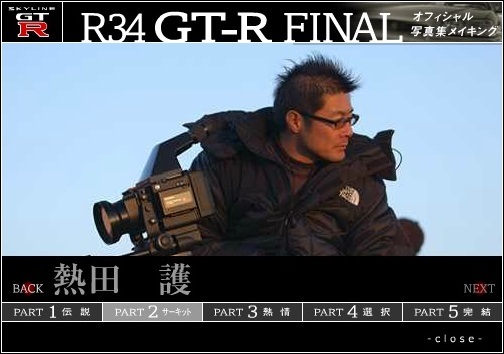 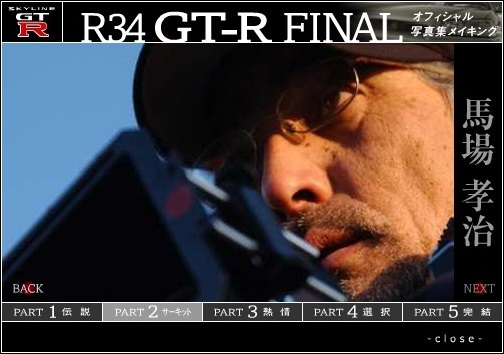 The photographers of the contents of the book are 熱田 護 (Atsutake Atsushi), 北畠 主税 (Chikara Kitabatake?) 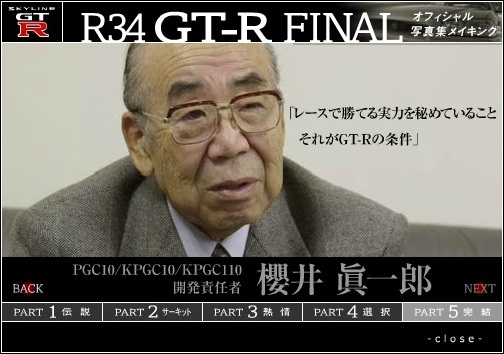 and 馬場 孝治 (Koji Baba). 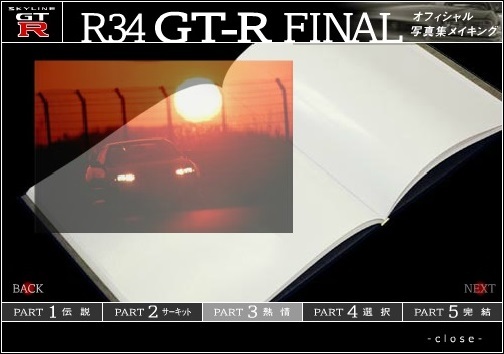 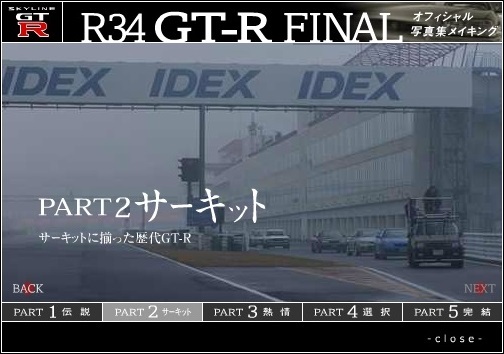 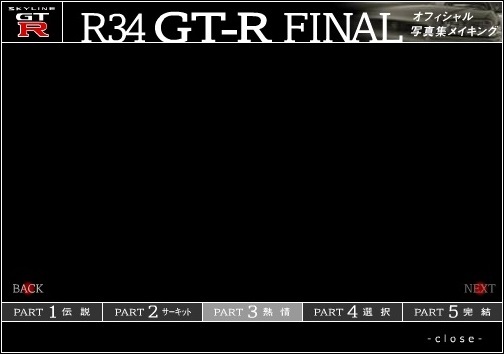 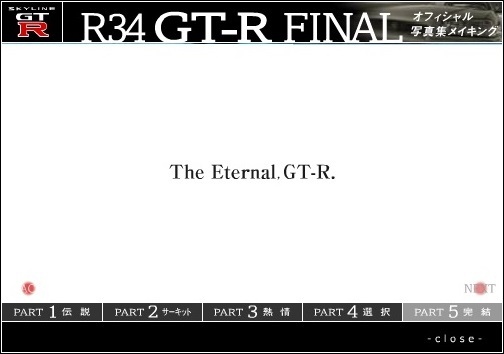 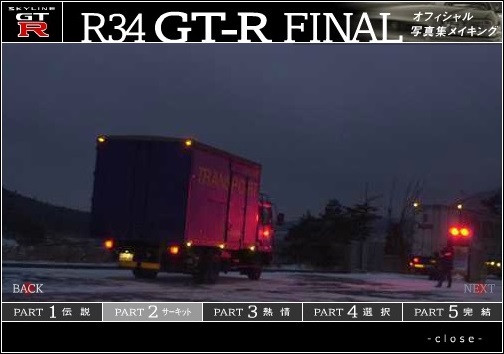 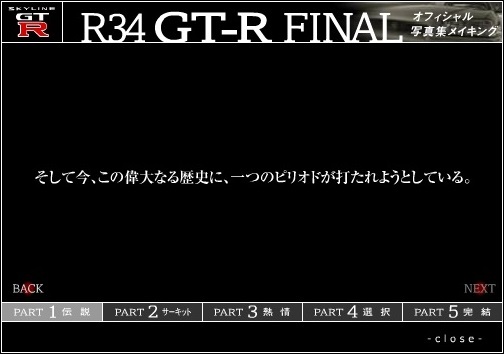 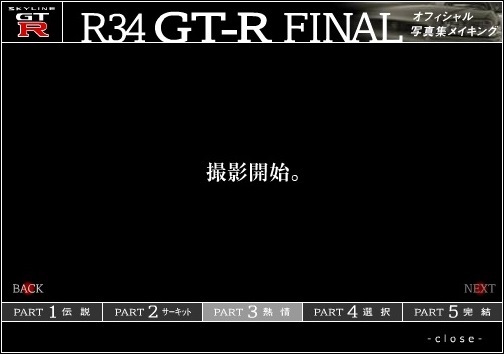 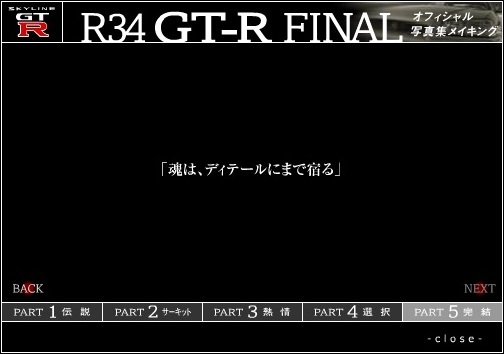 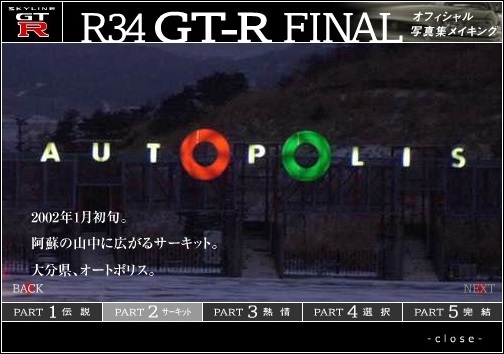 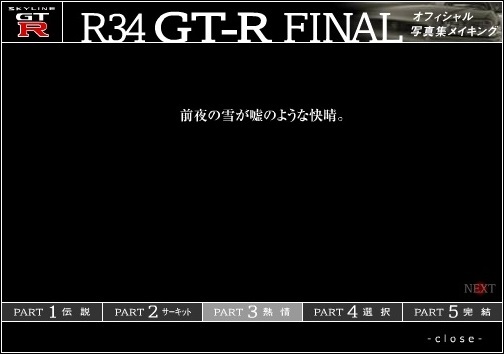 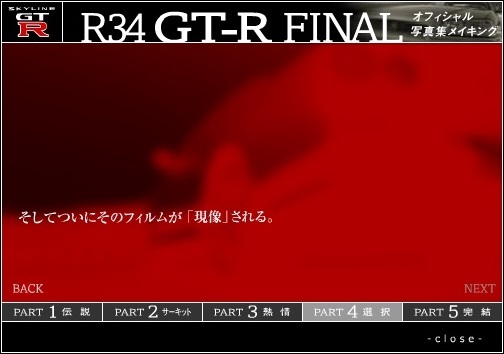 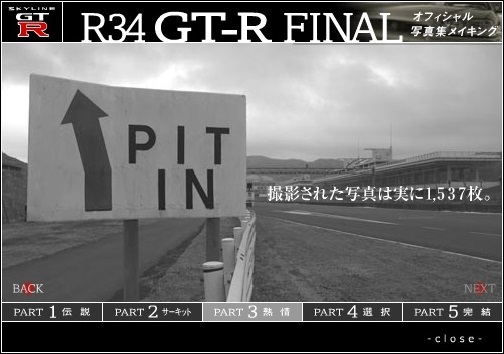 It is broken in to 4 chapters (Google translated as:), Chapter 1 "Immutable", Chapter 2 "Passion Soul", Chapter 3 "Holy Land Nur" and Chapter 4 "Instinct Racing".